The crow – that swarthy carrion-eater of the suburbs – got plenty of bad PR in the West Nile virus scare. Crows were accused of being a source of the disease, transmitted by mosquitoes to humans. 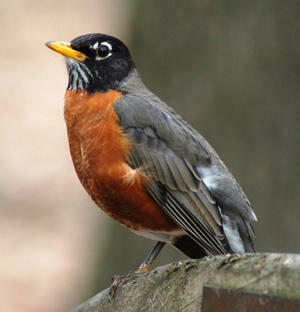 Now comes word that the Connecticut state bird may be the virus’s source: The beloved American Robin is a main vector through which the virus has been spread. Researchers in Connecticut and North Carolina performed DNA tests on the blood of hundreds of bird-feeding mosquitoes trapped over the past few years and found around 40% fed on the blood of robins, while only 1% fed on crow blood. They suspect that the mosquitoes transmit the disease from robins, catbirds, doves, and other small ground-feeders, not crows, who were just victims of the disease, not sources of it. Need we now dread robins? Probably not. Only 17 West Nile cases, none fatal, were reported in Connecticut in both 2002 and 2003. Last year, only one Connecticut resident got sick from the virus, and that person was apparently infected in Arizona. However, between 3% and 15% of the people who do contract the disease can die from it. While West Nile may not be a major health threat, be careful nonetheless.